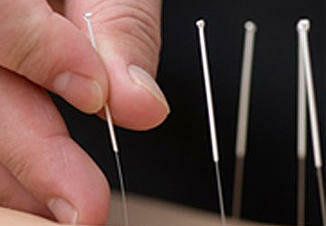 The most popular of these TCM modalities is acupuncture. Acupuncture is the placement of thread like needles in specific points along energy pathways called meridians, that harmonize and balance the body freeing the body to heal itself. Acupuncture is the most accepted modality of TCM with doctors and insurance companies because it is a great adjunct to the more conventional treatment protocols available in this country. When patients receive acupuncture they can greatly reduce or eliminate pain medicine; have better and more restful sleep; experience reduced stress and anxiety; improve pregnancy rates for infertile couples; reduce nausea from pregnancy or chemotherapy; improve digestion; and experience less depression – all without interfering with the other treatments they may be receiving. Acupuncture has been featured in countless movies, newspaper and magazine articles, and has been endorsed by popular celebrities such as Gwyneth Paltrow and Oprah. To read more about Acupuncture Click Here. Acupuncture is not the only, nor the most important, component of TCM, there are many others too. When you go in for a TCM treatment, you may find that your acupuncturist may choose to use one or more of the treatment modalities featured to the right. Depending on your condition, your acupuncturist may also prescribe exercise or stretching routines, and may give you nutritional advice to help you recover and maintain your health.